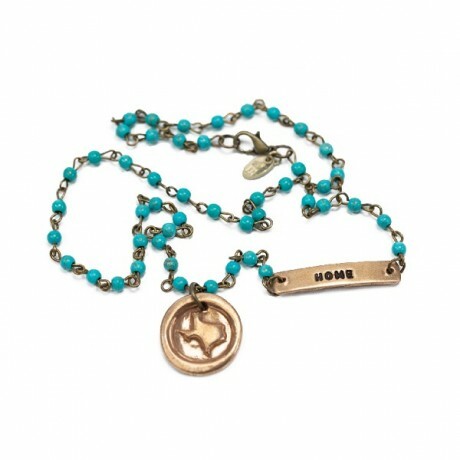 This necklace is a great way to show you're proud to call Texas home! Each charm is individually stamped and fired. ChickeeBoom Jewelry is made from scratch in Dallas, Texas.